Trying to grow your social media presence can prove to be a very difficult task. For some, it's a simple case of growing your audience to a large scale that embodies success; to others, it may be post engagement or reach that needs improving in order for them to feel like things are on track. But what do you do if it just doesn't work out? Over the last few years, we’ve seen hundreds of instances where companies have been buying followers and likes for their social media in order for their pages to imply page growth and popularity, but does this just create a false sense of security? The reality is that buying an audience is nowhere near the same as creating and building up a worthwhile base of potential customers. A study by Sprout Social in Q3, 2016 actually showed that most people have to see a product or service 2-4 times on social before they purchase it and nearly 20% of people need to see a social post or advertisement 5-8 times. Ultimately, the only people that will actually see these posts and actively assess them are a real, legitimate audience that is brought in through engaging, shareable content as well as exciting or persuasive incentives for a product or service. 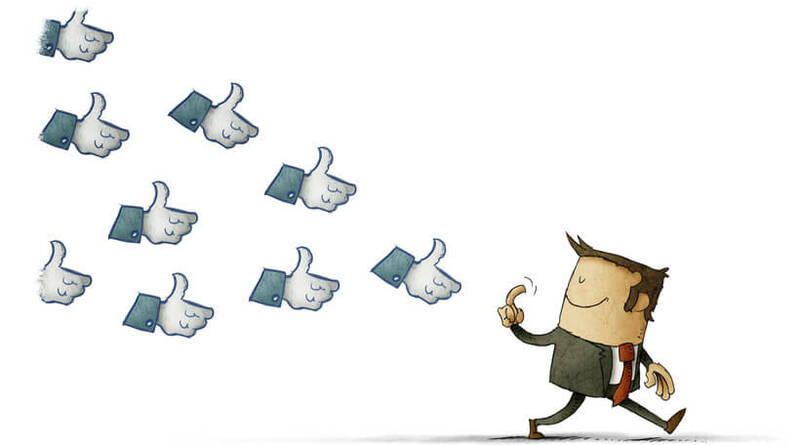 Buying likes and followers is likely to bring an incredibly small amount if any ROI and conversion rates will prove to be disappointingly low. Furthermore, the social networks are increasingly purging accounts of their dormant followers who have shown no interaction with a page or handle, and this means that over time, they’ll simply disappear anyway. Growing your business authentically and using organic content will always be the best way to entice consumers. There is a whole range of content ideas you could be using right now to drive all the traffic you need to succeed. Incentives such as competitions, discounts and offers always get a great reception on social media as it is often some of the most shareable content, whether that is through literal online shares or word of mouth. Informative but relatable posts on your brand and other topics associated with it will prove to be useful for those who have a genuine interest in your company. Over the last year, live content has proven to be very popular, especially on Facebook through the Facebook Live facility. It can be very worthwhile to experiment with how your brand can incorporate this into your social strategy. If you're looking for some great ways to improve your social strategy, ambitiously and authentically, contact TAMBA on 01543 495 888.